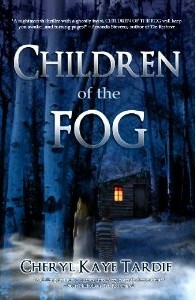 Currently #1 on Goodreads “Best Fantasy/Fiction for Teens” and “Most Original” lists. Switch! A fantasy adventure about magic, friendship and bravery, but also about bad judgement, rascally witches and thoroughly irresponsible adults. To begin with, I fell in love with the cover of this book. How intriguing! Since I’m a lover of Fantasy, I began to read and found I couldn’t put it down. This is a great imaginative adventure. The characters are delightful, the story witty and well thought-out. YOU HAVE TEN SECONDS TO MAKE A DECISION: Let A Kidnapper Take Your Child, Or Watch Your Son Die. Choose! Cheryl Kaye Tardif writes a great character. Sadie is flawed, she thinks illogically, she doesn’t always stand up for herself but she loves her son with great passion, she tries to hold on to her failing marriage by hoping it will magically get better, she wants to be a “good” person. Sound familiar? Don’t we all know a “Sadie” or maybe we even ARE a Sadie! This is a great read. The author hooks you right away with a gasp and an urge to read more. THIS is how you write a book. She also knows how to create a scene where you’ll be wondering what you would do if you were Sadie. I enjoyed this book and look forward to reading others by this author. Follow the story of a young woman caught up in the upheaval leading up to and during the reign of Hitler. She and her family escaped Russia and came to Bratislava, in Slovakia, at just the right time. But the next wave is threating to sweep them away. This defines a time when people could not be who they really are, everything was secret, and no one was trustworthy – sometimes even relatives. Christoph Fischer has made my heart weep, as well as rejoice, for these people as they try to simply live their lives but are unable to do that fully. Although they have to cope with fear daily, they also find reasons to love, cherish and celebrate life. It can be difficult to imagine living as these people had to, but the author has brought their lives to life and to light. Well done! To Learn more about this author and his works, click here! Hetta Coffey is a sassy Texan with a snazzy yacht and and she’s not afraid to use it. 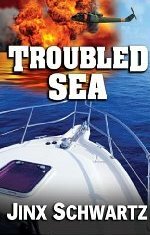 Jinx Schwartz is an award winning author and has written a series of books centered around living on board a boat. Can you imagine the freedom? The adventure? After reading these books, I can! Her books are exciting and held my interest from beginning to end. Ms Schwartz has a great writing style. You feel you know her characters and want to learn more and more about them. Her storylines keep you on the edge of your seat as you wait to see what in the world will happen next! EXCELLENT stories, EXCELLENT characters = wonderful reads. The first book in the Hetta Coffey series, “Just Add Water” (EPPIE award for Best Mystery) introduces you to Hetta, a spunky Texan who never learned to take “no” for an answer! You’ll love her sassy charm and humor as she learns to “drive a boat”. So many great books. Thanks Susan! I can certainly attest to Ms. Schwartz’s wonderful writing! !